Our guest blogger this week, Shelby Hill, shares a story that would make any parent proud. As parents we often lose sleep hoping our children grow to become adults with integrity and generous hearts. Shelby is one parent who can rest easy tonight. Her story is authentic and is an incredible example of the mother I know her to be. “Working in Dallas has unknowingly hardened me to the many homeless people living on the streets. As usual, it took the love and kindness of a child to reopen my eyes. This time it was my very own child. Walking towards the Alamo there are carriage rides, ice cream trucks line the streets, and copious amounts of candy and games. Their eyes lit up. I encouraged them to hang on to their money and “don’t spend it all in one place!” Brock didn’t listen. 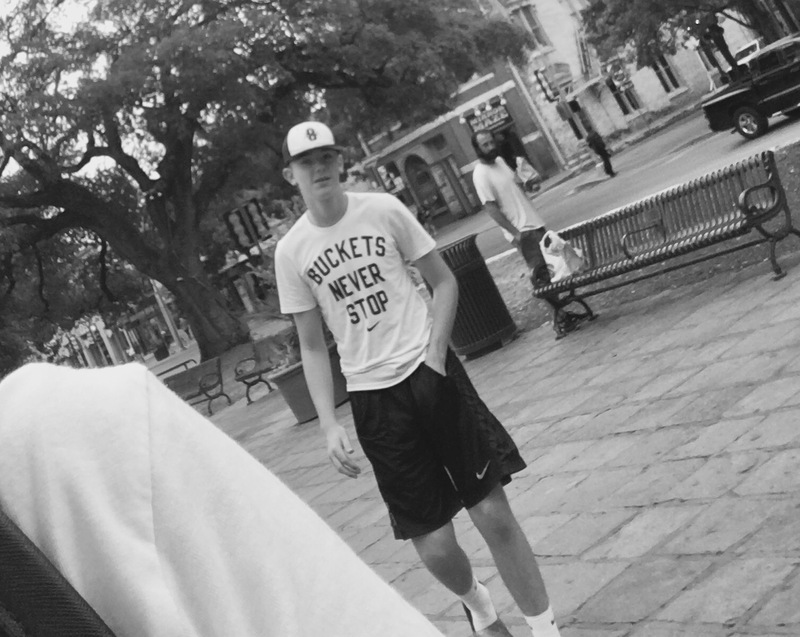 As we approached the Alamo, Brock noticed a man who was dirty and his clothes looked like they hadn’t been washed for weeks. The three of us couldn’t help but notice him digging food out of a trash can. The kids whispered to me, “Is he homeless?” My confirmation provoked an even more concerned tone as they asked, “Mama, is he going to eat that food out of the trash can?” Again, the answer was yes. A couple of steps later Brock stopped me and said, “Mama, wait just a minute.” Before I could question him, his plan was in action. As soon as I realized what he was doing I told my daughter to come look at a monument to give Brock a moment. I was overcome with emotion and so proud of my son. I stood in front of The Alamo with tears streaming down my face. I pulled myself together enough to let him know how proud I was to be his mom! I asked him what he did, although I knew what I had witnessed. He said, “Nana gave me this money to do what I wanted with it. I wanted to give it to him. He looks like he needs it more than I do.” I gave him a hug and told him how proud I was.